One of Madame Mim's best acting moments, and one of my favorite Frank Thomas scenes. The witch is setting the rules for the wizard's duel against Merlin: "(Rule one: no mineral or vegetable!) Only animal. Rule two: No make believe things like, oh...pink dragons and stuff. Now..."
Quite a while ago rough drawings from this scene were offered for sale all over the place. 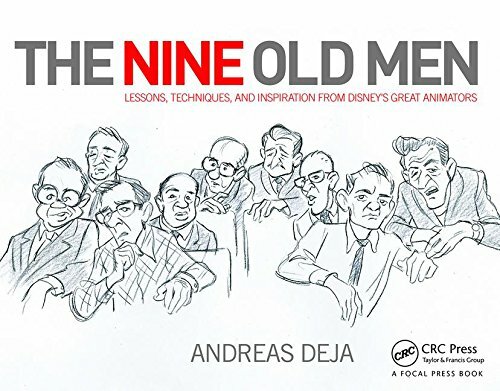 It took me years to collect most of the important ones, which can all be seen in sequence in my upcoming book on Disney's Nine Old Men. This scene showcases yet again Frank's virtuosity as an actor. Mim first gets into a thinking pose, as she dreams up the next rule. 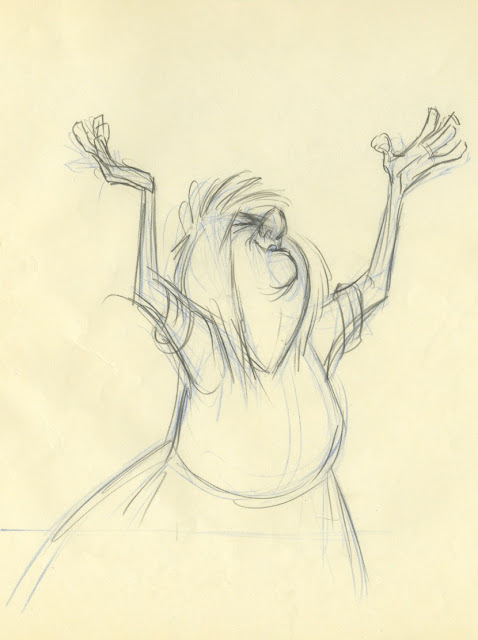 Wild gesturing follows, emphasizing the "outrageous" idea of turning into a pink dragon. This is the kind of work that still awes me and inspires me.